Change resistance is the tendency for something to resist change even when a surprisingly large amount of force is applied. There are two forms: individual and systemic change resistance. Individual change resistance is the refusal of a social agent (a single person, organization, corporation, etc) to fully support or adopt new behavior. Systemic change resistance is the tendency for a system as a whole to reject an attempted change, even if that change is promoted over a long period of time by a substantial fraction of the population. That's what's happening in the sustainability problem, so when we say "change resistance" we usually mean systemic change resistance. Consider the immortal words of John Muir: "When one tugs on a single thing in nature, he finds it attached to the rest of the world." 1 Thus when environmentalists tug on lawmakers by trying to get them to pass legislation to solve the sustainability problem, they find those lawmakers attached to the rest of the system. Those attachments presently cause lawmakers to usually say no. Solutions start on the left, where they are conceived. After research and testing they become solution elements. These are proposed to decision makers. A few make it over the brick wall where they are adopted. The vast majority, however, never make it over the wall. Instead they run into the wall, bounce off, and fall to the ground, where they lie in a crumpled heap. Change resistance is the crux of the sustainability problem. Change resistance must be treated as a separate and distinct problem to solve first. That is the point of this page. "Question: How do you feel about the reception to An Inconvenient Truth? "Al Gore: I'm gratified that the reviews have been 99 percent positive because more people will be exposed to the message. I've seen times in the past when there was a flurry of concern about global warming, and then, like a summer storm, it faded. But this time, it may be different. "Question: Jeb and George Bush have said they won't see your film, and I'm sure they speak for many who just don't want to hear your message. How do you get past that resistance? "Al Gore: That's a question I've been trying to answer for 30 years, and part of the answer is persistence. And part of the answer I don't know yet." In other words, Al Gore doesn't know how to solve the change resistance part of the problem. The change resistance subproblem can be solved with the right approach. This	requires root cause analysis and model based analysis, as demonstrated in the paper on Change Resistance as the Crux of the Environmental Sustainability Problem. It also requires a process that fits the problem, which was not mentioned in the paper. This paper was designed to be read by anyone seriously interested in looking deep into how to solve the sustainability problem. Except for details on description of the simulation model used, it's a straightforward read. The paper essentially says problem solvers have ignored the change resistance part of the problem, instead focusing their efforts on the proper coupling part of the problem. Proper coupling occurs when two or more systems are working in harmony due to their interrelated feedback loops. Currently the human system is improperly coupled to the greater system it lives within: the environment. Popular proper coupling solutions are things like pollution laws, water conservation, alternative energy, and the Kyoto Protocol treaty. The paper explains how solutions like these are being rejected by the human system due to high systemic change resistance. is to resolve its root causes. "In general, balancing loops are more difficult to see than reinforcing loops because it often looks like nothing is happening. There's no dramatic growth of sales and marketing expenditures, or nuclear arms, or lily pads. Instead, the balancing process maintains the status quo, even when all participants want change. The feeling, as Lewis Carroll's Queen of Hearts put it, of needing 'all the running you can do to keep in the same place' is a clue that a balancing loop may exist nearby. Change resistance tends to be high when an agent perceives they will be worse off if they adopt the new behavior, such as when the short term losses outweigh the long term benefits. Change resistance can also be due to fear of the unknown, habit, insecurity, and so on. However most change resistance is due to incompatibility between an agent's current behavior incentives and the desired change. To overcome change resistance in a population generally requires analysis of the agent types and the structural forces at play. Change resistance is part of the social side of the problem. Most problem solving effort goes to the technical side of the problem, which is the one the environmental movement, the press, academics, business, and governments have focused on. It's the technology and behavior changes needed to live sustainably. For example, society needs to follow "the three Rs" of reduce, reuse, and recycle. It needs to drastically cut dependence on fossil fuels to solve the climate change problem. Population growth needs to level off and then fall substantially. But all that focus on the technical side of the problem has not worked. Why? Because change resistance is the crux of the problem. If environmentalists would redirect their efforts to analysis of the social side of the problem, and then use the results to "push" on the system at high leverage points that can be used to overcome change resistance, we would see more gains in 3 years than we have seen in the last 30. 1. Regarding John Muir's quote: "When one tugs on a single thing in nature, he finds it attached to the rest of the world." - This popular quote is incorrect. The true quote, from John Muir's My First Summer in the Sierra, 1911, was "When we try to pick out anything by itself, we find it hitched to everything else in the Universe." We've used the first form because it has become so well known and is thus more easily applied to a better understanding of how systemic change resistance works. 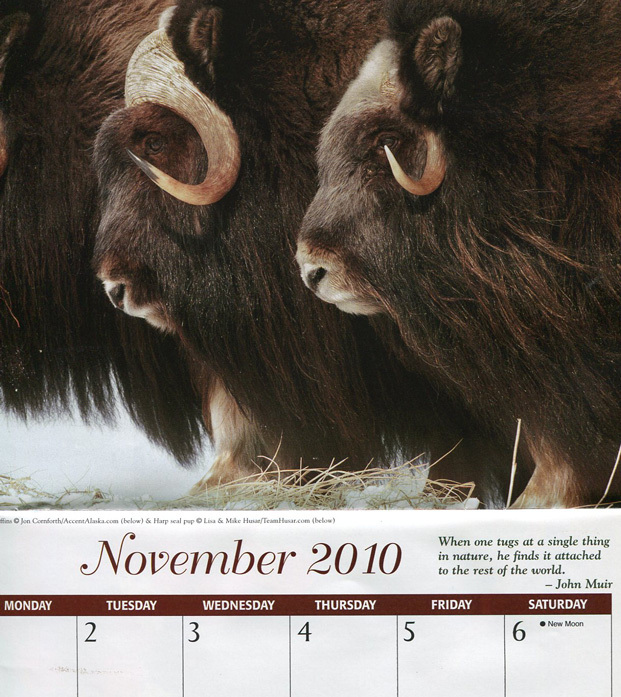 The first form, for example, appeared on the National Wildlife Federation's 2010 to 2012 18 month calender. How to overcome change resistance is the first of the four subproblems of the sustainability problem. Of the four it's the crux of the problem, because if change resistance is not overcome then none of the other subproblems are solvable. After the change resistance subproblem is solved we can move on to solving the other three subproblems. This will be relatively easy, because now the system will “want” to solve the problem, just as hard as it doesn't want to solve it now. Won't that be a refreshing change? Don't make the same mistake most problem solvers do. Most assume that change resistance arises from the behavior of individuals. Well, it does on most everyday problems, like how to convince your boss to let you take the rest of the day off or how to persuade a group of voters to elect the politician you prefer. Attributing the source of a widespread pattern of behavior to individuals is known as the Fundamental Attribution Error because once the error is made, your entire subsequent course of problem solving is fundamentally flawed. Widespread patterns of behavior invariably arise from something at the system level. 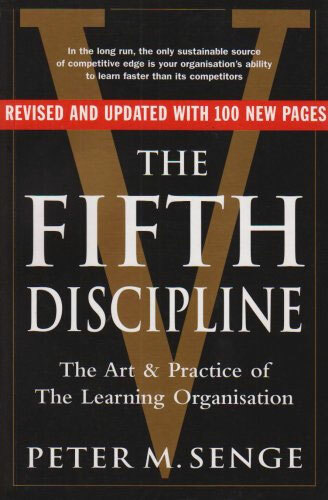 That's why Peter Senge wrote "...the resistance is a response by the system, trying to maintain an implicit system goal. Until this goal is recognized, the change effort is doomed to failure." Don't make the Fundamental Attribution Error or your change effort will also be doomed to failure. Since we're dealing with a system that's resisting change, it is systemic change resistance that's the real problem. Systemic means originating from the system in such a manner as to affect the behavior of most or all social agents of certain types, as opposed to originating from individual agents. Thus when dealing with large difficult social problems, it is systemic change resistance we're speaking of when we say "change resistance." This is because the root of the problem invariably lies within the structure of the system, and not within its individual agents.